Gabe was a particularly rambunctious little guy. Although he was sweet and quite smart, he had a tendency to get into trouble and break things. Out of four boys, Gabe managed to be the only one to break every single one of his appendages (including his head!). While his braininess remained intact, his teeth did not. His parents realized early on (after he jumped head first off of trampoline at the age of 2) that they needed some hefty and reliable insurance in order to save on chipped tooth repair, broken limb care, and everything else that came down the pike. Elizabeth was a particularly good child. Although she was sweet and awfully cute, she was very clumsy. Not a day went by where she didn’t fall off her stool, down a flight of stairs, or walk into a doorway. Unsurprisingly, her teeth were about as chipped as teeth can be. But in the area she lived, there were no discount chipped tooth repair options. Without good insurance, Elizabeth was stuck hiding her smile behind her hand. Where Can I Save On Chipped Tooth Repair? 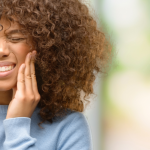 At Penn Dental Medicine, the one thing that most patients seeking chipped tooth repair have in common is their reluctance to show the world their smile. Maybe you can sympathize. Maybe you’ve caught yourself smiling with your mouth closed, or your hand involuntarily covering your mouth when you laugh. 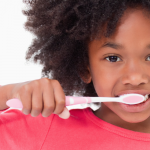 The truth is that most people don’t notice if you have a small chipped tooth, or even a prominently chipped front tooth! 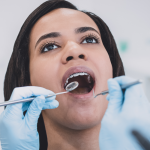 Even still, Penn Dental Medicine offers the opportunity to save on chipped tooth repair because we understand how important it is for you to be able to feel confident in your smile, and for the people around you to benefit from that smile. How important? The Huffington Post claims that George Clooney’s smile has the ability to “reduce stress, induce labors, and advance world peace.” While the article says it partly in jest, it’s absolutely true that smiles are crucial to the wellbeing of the people around us. 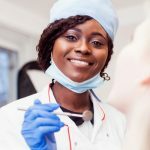 The dental clinic at Penn Dental Medicine also offers other helpful and necessary dental procedures at discounted prices: from preventive care like cleanings and screenings to restorative care, which encompasses everything from broken tooth extractions to fillings, bridges, crowns, and more! 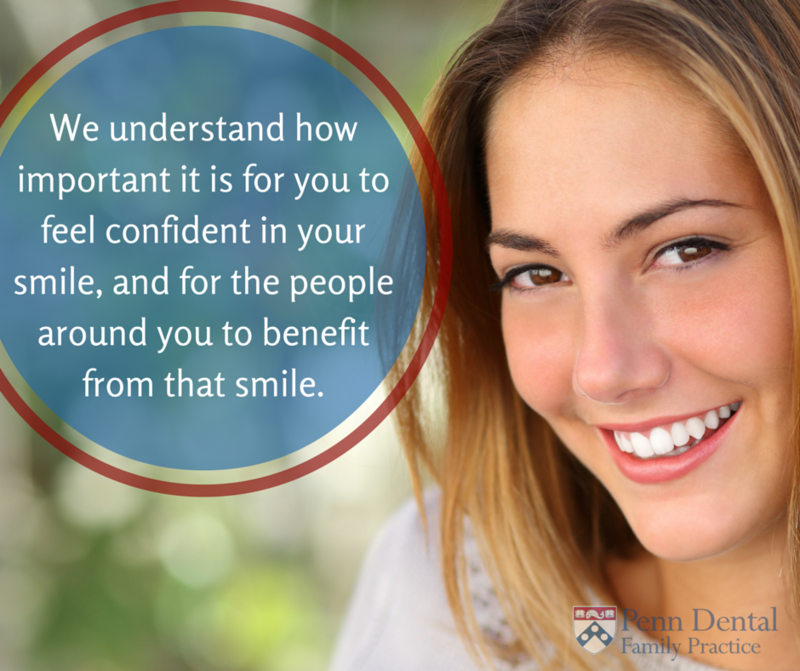 Contact Penn Dental today, because the world deserves to see your smile.